Switching to tenor saxophone, Shorter formed a teenage band in Newark called The Jazz Informers. 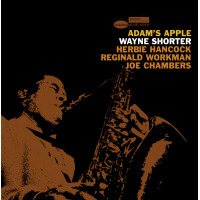 While still in high school, Shorter participated in several cutting contests on Newark’s jazz scene, including one memorable encounter with sax great Sonny Stitt. He attended college at New York University while also soaking up the Manhattan jazz scene by frequenting popular nightspots like Birdland and Cafe Bohemia. Wayne worked his way through college by playing with the Nat Phipps orchestra. Upon graduating in 1956, he worked briefly with Johnny Eaton and his Princetonians, earning the nickname “The Newark Flash” for his speed and facility on the tenor saxophone. In 1964 Miles Davis invited Wayne to go on the road. 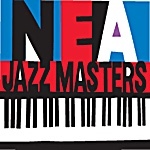 He joined Herbie Hancock (piano), Tony Williams (drums) and Ron Carter (bass). This tour turned into a 6 year run with Davis in which he recorded a number albums with him. Along with Davis, he helped craft a sound that changed the face of music In his autobiography, the late Miles Davis said about Wayne…“Wayne is a real composer…he knew that freedom in music was the ability to know the rules in order to bend them to your satisfaction and taste…” In his time with Miles he crafted what have become jazz standards like “Nefertiti,” “E.S.P.,” “Pinocchio,” “Sanctuary,” “Fall” and “Footprints. 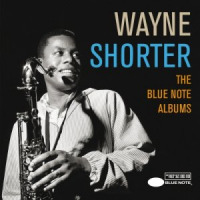 Simultaneous with his time in the Miles Davis quintet, Shorter recorded several albums for Blue Note Records, featuring almost exclusively his own compositions, with a variety of line-ups, quartets and larger groups including Blue Note favourites such as Freddie Hubbard. His first Blue Note album (of nine in total) was Night Dreamer recorded at Rudy Van Gelder’s studio in 1964 with Lee Morgan, McCoy Tyner, Reggie Workman and Elvin Jones. The later album The All Seeing Eye was a free-jazz workout with a larger group, while Adam’s Apple of 1966 was back to carefully constructed melodies by Shorter leading a quartet. 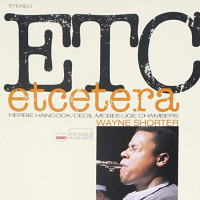 Then a sextet again in the following year for Schizophrenia with his Miles Davis band mates Hancock and Carter plus trombonist Curtis Fuller, alto saxophonist/flautist James Spaulding and strong rhythms by drummer Joe Chambers. These albums have recently been remastered by Rudy Van Gelder. In 1970, Shorter co-founded the group Weather Report with keyboardist and Miles Davis alum, Joe Zawinul. It remained the premier fusion group through the ’70s and into the early ’80s before disbanding in 1985 after 16 acclaimed recordings, including 1980’s Grammy Award-winning double-live LP set, 8:30. Shorter formed his own group in 1986 and produced a succession of electric jazz albums for the Columbia label — 1986’s Atlantis, 1987’s Phantom Navigator, 1988’s Joy Ryder. He re-emerged on the Verve label with 1995’s High Life. After the tragic loss of his wife in 1996 (she was aboard the ill-fated Paris-bound flight TWA 800), Shorter returned to the scene with 1997’s 1+1, an intimate duet recording with pianist and former Miles Davis quintet bandmate Herbie Hancock. The two spent 1998 touring as a duet. After Weather Report, Shorter continued to record and lead groups in jazz fusion styles, including touring in 1988 with guitarist Carlos Santana, who appeared on the last Weather Report disc This is This! In 1989, he scored a hit on the rock charts, playing the sax solo on Don Henley’s song “The End of the Innocence” and also produced the album “Pilar” by the Portuguese singer-songwriter Pilar Homem de Melo. In 1995, Shorter released the album High Life, his first solo recording for seven years. It was also Shorter’s debut as a leader for Verve Records. Shorter composed all the compositions on the album and co-produced it with the bassist Marcus Miller. High Life received the Grammy Award for best Contemporary Jazz Album in 1997. Shorter would work with Hancock once again in 1997, on the much acclaimed and heralded album 1+1. The song “Aung San Suu Kyi” (named for the Burmese pro-democracy activist) won both Hancock and Shorter a Grammy Award. In 2009, he was announced as one of the headline acts at the Gnaoua World Music Festival in Essaouira, Morocco. All About Jazz musician pages are maintained by musicians, publicists and trusted members like you. Interested? 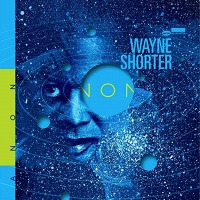 Tell us why you would like to improve the Wayne Shorter musician page.